Safe Home is a 33-unit Housing First program designed to provide long term, chronically homeless individuals with severe alcohol dependence permanent housing opportunities, intensive case management, and supportive services. Safe Home is an evidence-based program that comes out of the “Housing First” model and is based upon the proven concept that by providing housing to the most chronically homeless residents of the community, the overall costs of a variety of highly utilized services (detox, emergency rooms, police, jails, etc.) are reduced dramatically. Referrals and questions can be directed to the contact information identified below. Safe Home is a program of the Minnehaha County Human Services Department and is a result of the commitment of the County Commissioners and many of their constituents who supported and assisted in establishing this facility to meet the needs of our community. Meetings are held quarterly and are in the Safe Home Conference Room, located at 320 W 3rd St. Sioux Falls, SD 57104. 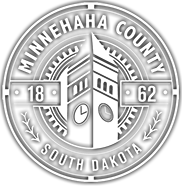 If you wish to place an item on the Housing and Redevelopment Commission meeting agenda, please contact Craig Dewey, Assistant Commission Administrative Officer, by email or by phone at (605) 367-4206.